I would like to introduce you to Coconut Lane. I’ve been a big fan of this new online store for a couple of months now and think they make the coolest home and fashion accessories. They’re a serious injection of sassiness and fun and are completely on trend with what’s popular. They love Mean Girls, unicorns and flamingos; need I say more? So, when they contacted me asking if I’d like to become an Ambassador, I of course jumped at the opportunity. They work with lots of bloggers and social media influencers to help promote their brand. And it means I get a 20% discount code for you all to use. I love everything Coconut Lane sells. They have a great range of wall prints, phone cases, greeting cards and jewellery. I had a really hard time trying to choose which products to buy, but I ultimately decided on these 4 absolute gems. 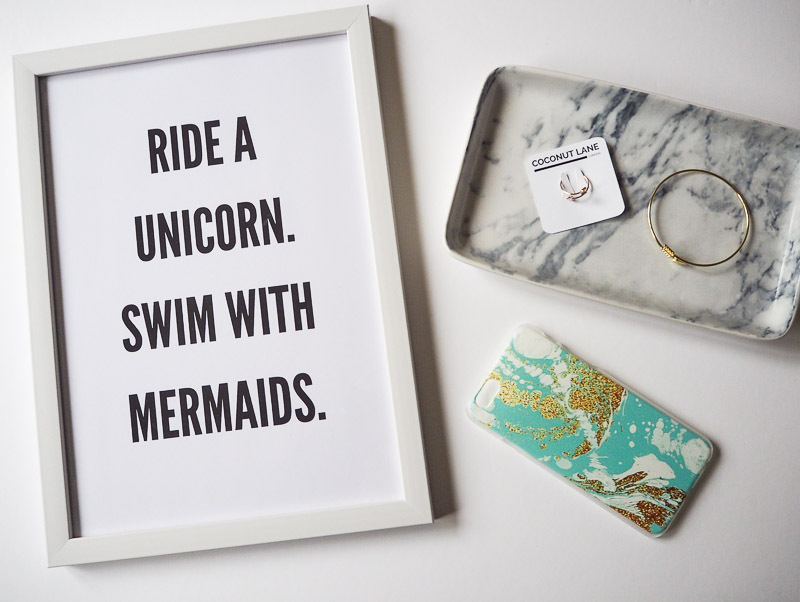 Something to know about me is that I’m obsessed with unicorns and mermaids. I don’t care if they’re not real, I choose to believe otherwise. So it was obviously a no brainer that I had to get this print. I mean, talk about ultimate life goals! Ok, so it might not be achievable, but it reminds me to follow my dreams and to believe in magic. 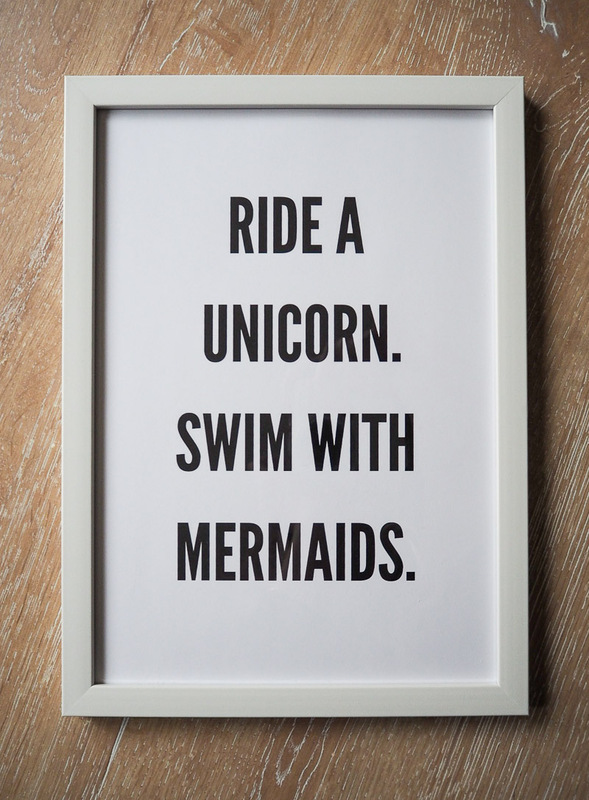 Plus, I just love unicorns and mermaids. I got it with a frame, but you can also order just the print on its own. 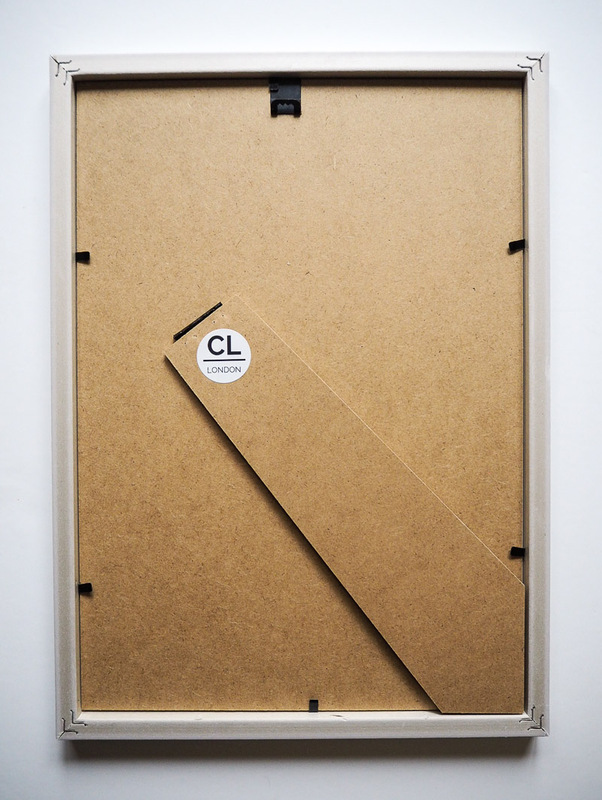 The frame has a hook to hang on the wall as well as a stand, so you can display it whichever way you prefer. I haven’t fully committed to a spot yet, but I think I might put it in the corner on my dressing table so I see it every day when I get ready. They have some other really amazing prints. They’re most popular is probably the ‘Stay classy, sassy, and a bit bad-assy’ one, there’s also some quotes from Mean Girls including my personal favourite ‘So fetch’, and something we should all ask ourselves ‘What would Beyonce do?’ along with many others. Continuing on with my mermaid obsession, I chose this mermaid splash iPhone case. Again, there are some gorgeous options for phone cases and I want all of them. I narrowed it down to this and their classic marble printed case, but in the end I went for the more colourful option. 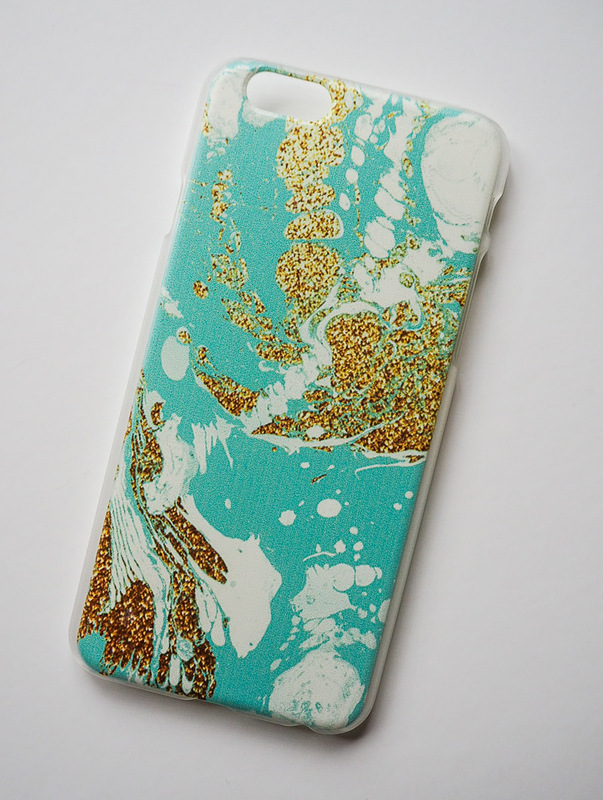 It’s a lovely shade of turquoise with white marbling and a gold, sparkly looking print. I love it. It’s available for iPhone 5/5s, iPhone 6/6s, and iPhone 6 Plus. There are other really cute designs that include things such as unicorns with glitter, flamingos and pineapples. 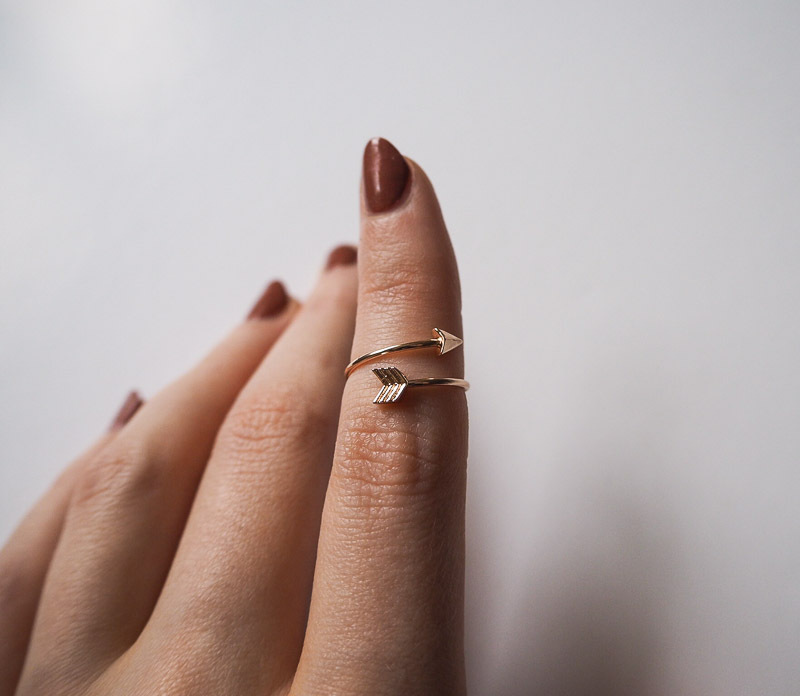 I love dainty jewellery like this. 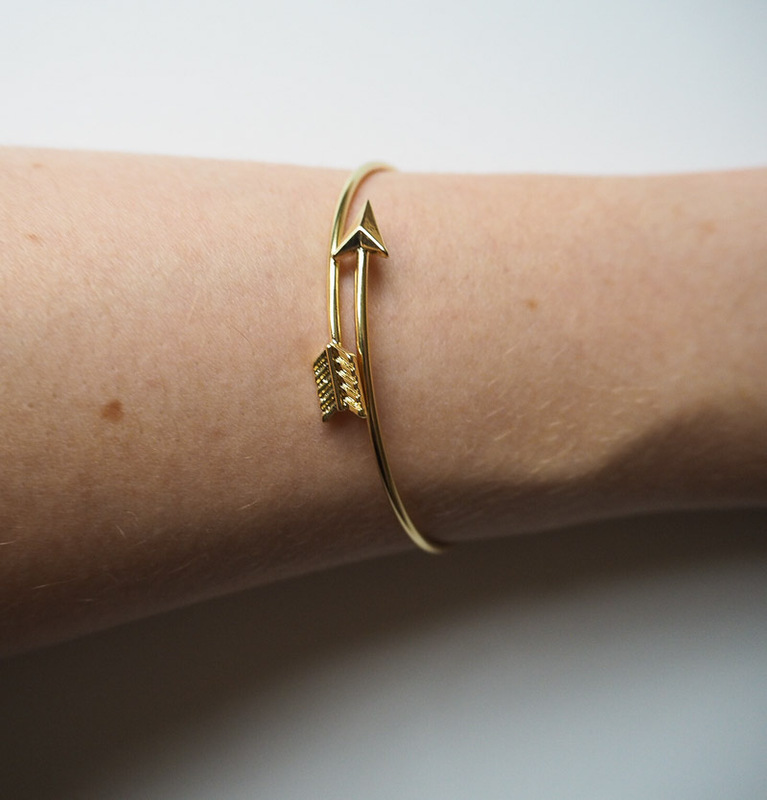 The arrow design is stylish and cool, and what’s good is that it’s adjustable so it can be worn different ways. It also comes in silver and is just so pretty. 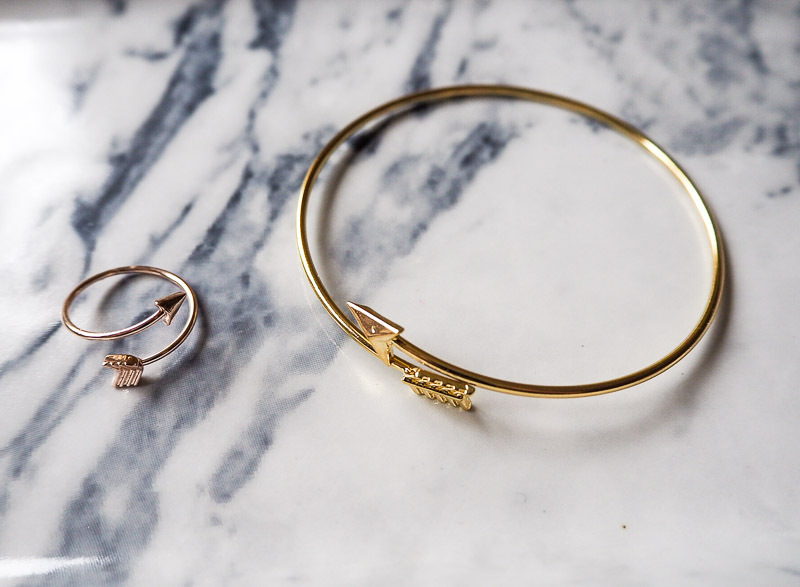 I like subtle jewellery that has a beautiful design and detailing up close. 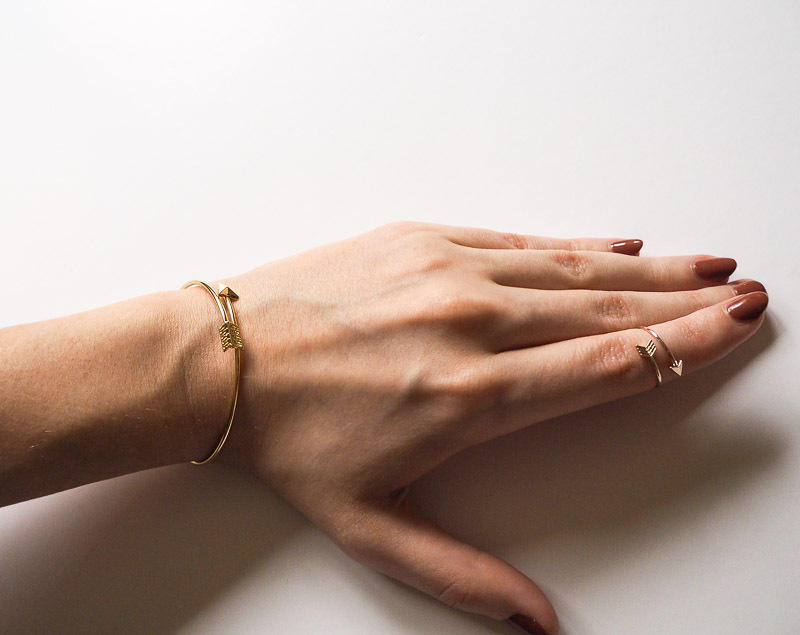 There’s also a really nice twisted nail bangle that I think looks gorgeous. In the same style as the matching bangle, this ring is also adjustable which is especially useful for a ring. It means it can be worn as a normal ring, as a midi ring (which is how I’ve been wearing it), or as a thumb ring. Plus it will fit on any finger so you can change it up. I opted for rose gold as it’s my favourite, but it also comes in gold and silver. I’m hoping to get it in the other colours at some point too. I couldn’t be happier with the things I ordered. 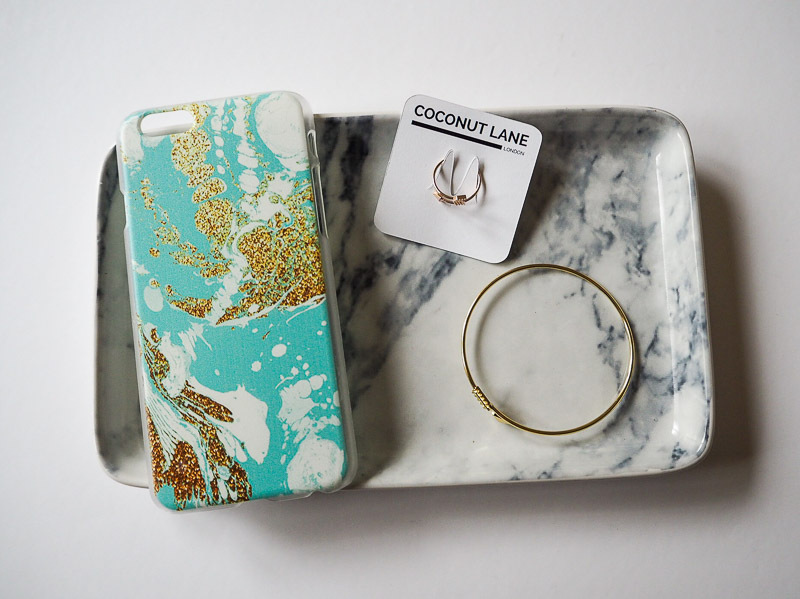 I’ve been wearing the jewellery every day and my new phone case fits my iPhone 6 perfectly. I haven’t got any of the greeting cards they sell yet but they have some awesome ones. With Valentine’s Day coming up, I’m sure they’re going to be very popular. There are some amazing ones to give your best girlfriends. I’m a firm believer that Valentine’s should be a day to celebrate love in all its forms, not just romance. With cards such as ‘You are the Kendall to my Kylie’, and ‘Life without you is like Cara without brows’, they’re perfect to give your besties. And for the lovers, there’s the ultimate profession of love ‘I love you like Kanye loves Kanye’ and the adorable ‘Let’s Avocuddle’. I’m so excited to see how this brand continues to grow. Fashion and home accessories should be fun, quirky and sassy, and Coconut Lane has really managed to capture that. They’re all about the sass. They have a great blog on their site too which is worth checking out. If there’s anything you’re interested in you can save 20% on any orders by entering the promo code ‘thestyleblossom20’ at checkout.